click photo to enlarge Hey, the title of this page in Penitentiary, this first pic does not seem to fit. Well I wanted to mention the Basque block in Boise but not do an entire page on it. Boise has a Basque block that has a museum and a number of restaurants. We ended up eating at two of them and it was quite good. The museum is good also. Boise has about 15,000 people in it's Basque community making it one of the largest in the US. The buildings are pretty also. 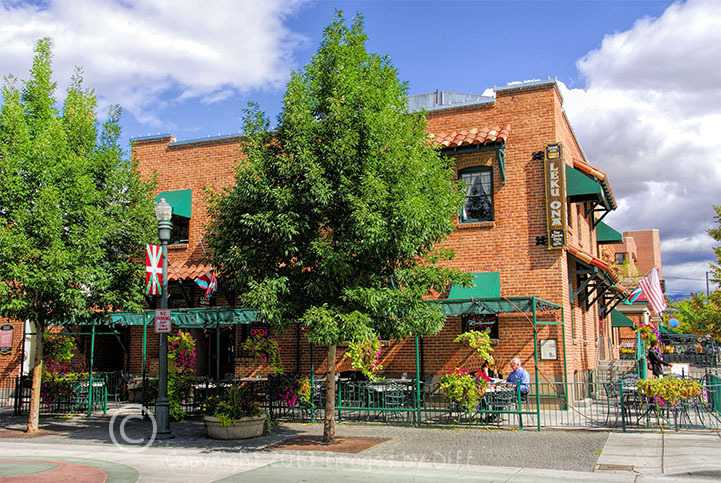 So when in Boise be sure to check it out and try one of the restaurants. click photo to enlarge When we were in Boise we bought a Boise Museum pass. Boise has a surprising number of Museums that were pretty good. 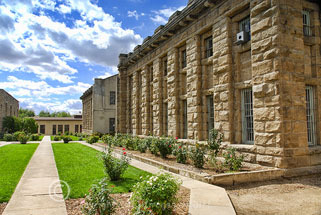 Why I am not sure, but we have visited a number of old prisons over the years. It is surprising how many of them were actually attractive buildings on the outside such as the Mansfield Reformatory in Ohio. 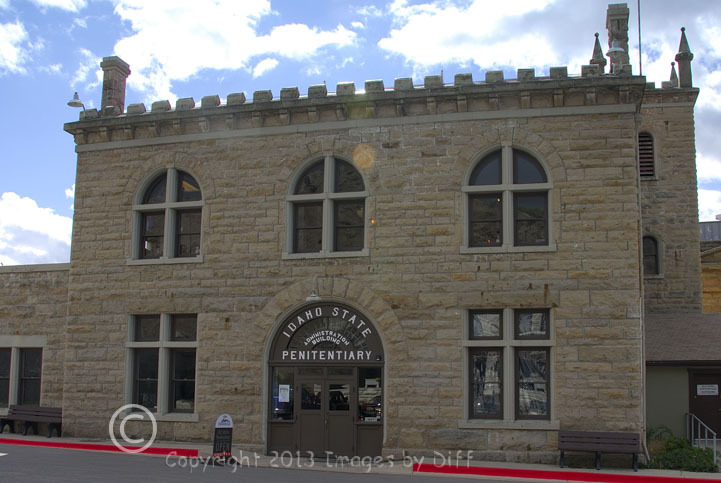 The Idaho State Penitentiary opened in 1872 to provide housing to some of the west's most infamous criminals. 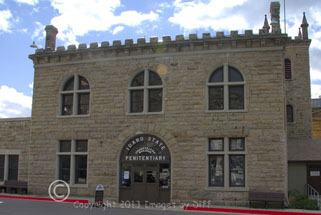 It was in use for over 100 years closing in 1973.
click photo to enlarge The stone used in the building was quarried by the inmates from nearby ridges. Hmmm so they got to pick and quarry the stone used in their own lodging. It is always amazing to me to see these things and just how awful basic things were for the guests here. Heat and ventilation was certainly not very good and it gets cold in Boise during the winter. 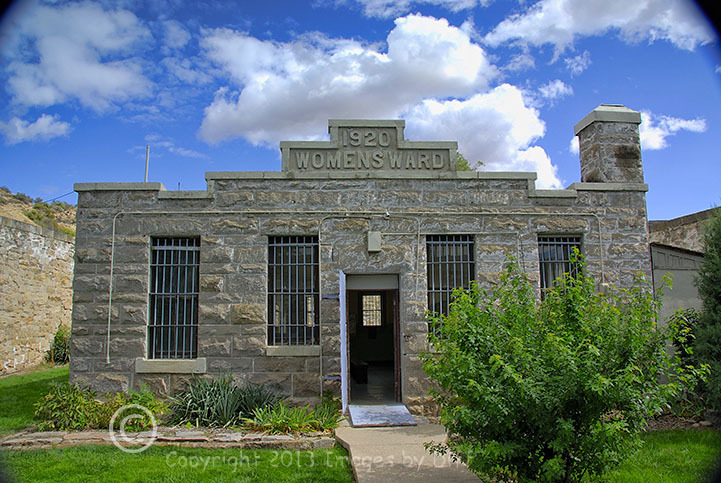 The women's ward was built out of need to keep the women separate from the men. The solitary confinement area had an area called Siberia and housed 12 3'x8' cells with one inmate per cell. 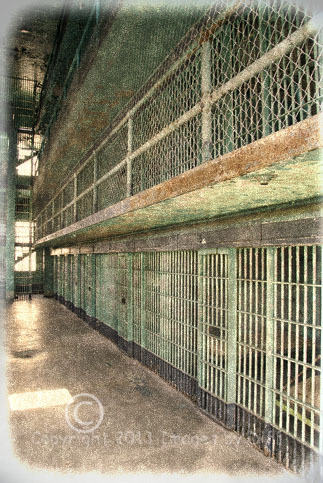 In the early days the cells used a honey bucket placed in each cell as the toilet.